We’re headed to Berkeley for the evening. 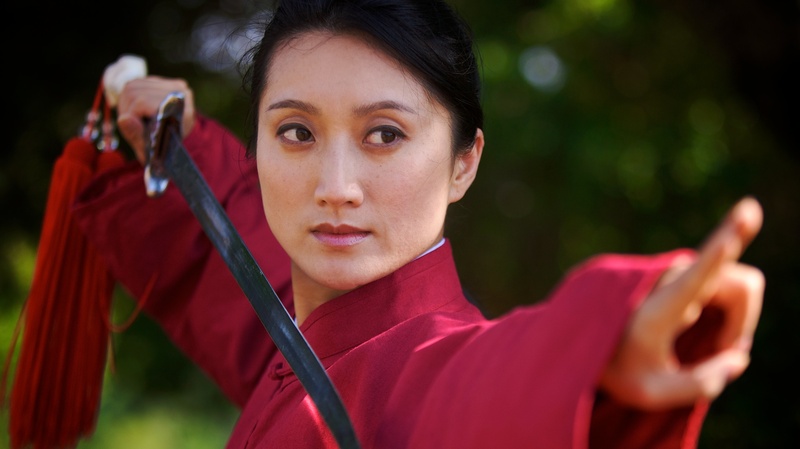 Tomorrow morning, we’ll be filming the Chinese Women’s Army scene with Li Jing and thirty extras. Here’s a photo from today’s shoot at Vista Point, between Edgewood and Highway 92. I am interesting about wu-shu and Chinese sword art. Sword necessary information in details.